In his full decade of experience in the field of orthopedic medicine, Dr. Payam Moazzaz, M.D., has diagnosed and treated patients with a variety of spine conditions and back pain disorders. Back and spine conditions can rob the patient of their mobility, their independence, their productivity, and their ability to enjoy their lives and everyday activities. The family of the back pain sufferer shares the experience in full, as they see a suffering loved one suddenly unable to enjoy treasured time with their spouse and kids. 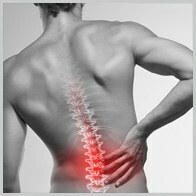 It is Dr. Moazzaz’ strong and firm commitment to treat all spine conditions and back pain disorder-patients and return them to their families and their mobile lives. 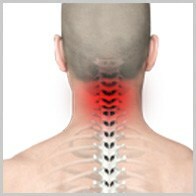 Explore this site to explore the full range of back and spine conditions he treats, or call extn. 1172 to schedule a consultation with Dr. Payam Moazzaz, M.D., at New Era Spine to begin your journey to a pain-free life. Lower back pain ranks among the most common health issues affecting Americans today, with the American Chiropractic Association reporting that one-half of all working Americans experience lower back pain symptoms every year. 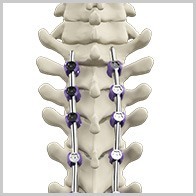 Through his decade's worth of comprehensive research in the field of orthopedic medicine, Dr. Payam Moazzaz at New Era Spine has come to specialize in the diagnosis and treatment of complex spine disorders. 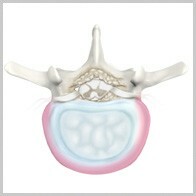 In the condition known as degenerative disc disease, the discs located between the vertebrae (otherwise known as intervertebral) discs have deteriorated, narrowed or been damaged or degraded in some fashion; or perhaps their nerve roots become pinched. 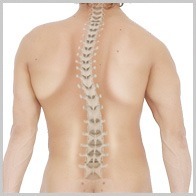 It is ultimately the severity of Kyphosis cases that determine their course of treatment. Pain relievers can be used to treat mild discomfort; and for older people, osteoporosis drugs can add strength to the bones. 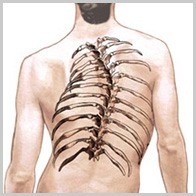 Scoliosis, which is spinal fusion surgery, is performed mostly on children only if they meet a certain degree of curvature in their spine. 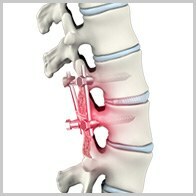 Complex spine disorders include conditions such as tumors, fractures, infection and deformity that can cause instability of the spine. 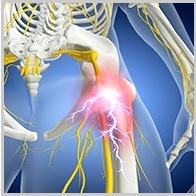 The phenomenon of ‘Prior Failed Back Surgery’ is one that occurs all too frequently in the orthopedic field; this being due both to the sensitivity of the back and spine area and the overeagerness of some physicians to perform major surgery when it may not be needed.